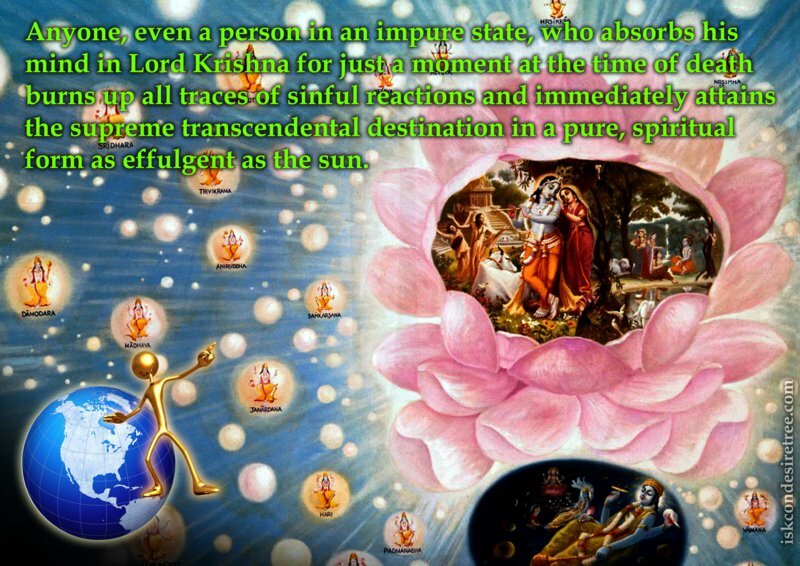 Anyone, even a person in an impure state, who absorbs his mind in Lord Krishna for just a moment at the time of death burns up all traces of sinful reactions and immediately attains the supreme transcendental destination in a pure, spiritual form as effulgent as the sun. 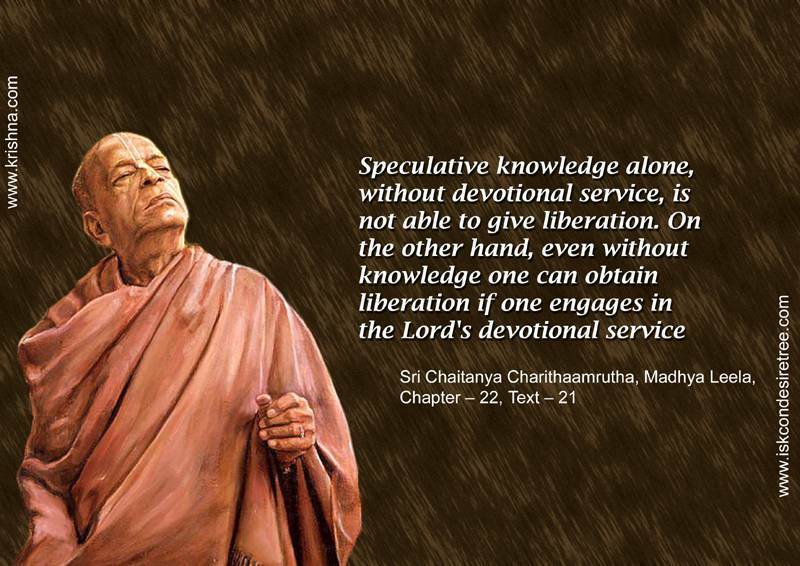 Speculative knowledge alone, without devotional service, is not able to give liberation. On the other hand, even without knowldege one can obtain liberation if one engages in the Lord's devotional service. 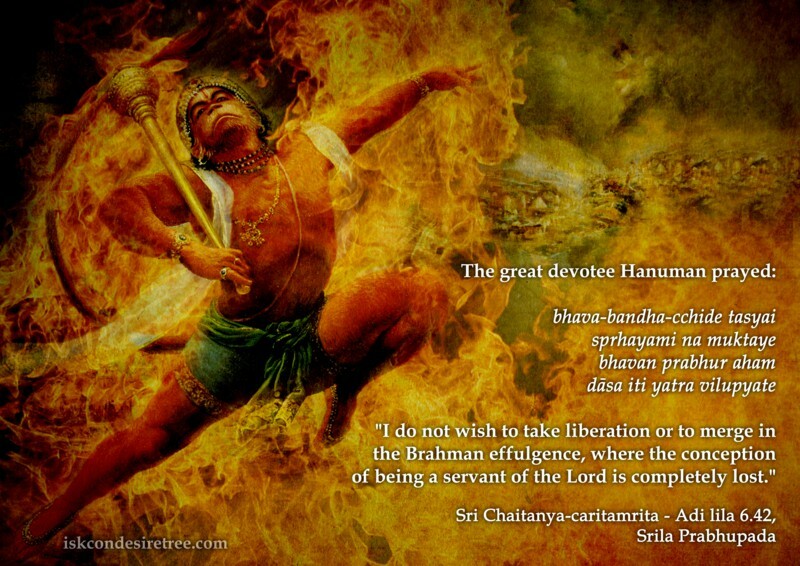 — Sri Chaitanya Caritamrita, Madhya Lila, 22.21. A man bound by the hands and feet cannot free himself. 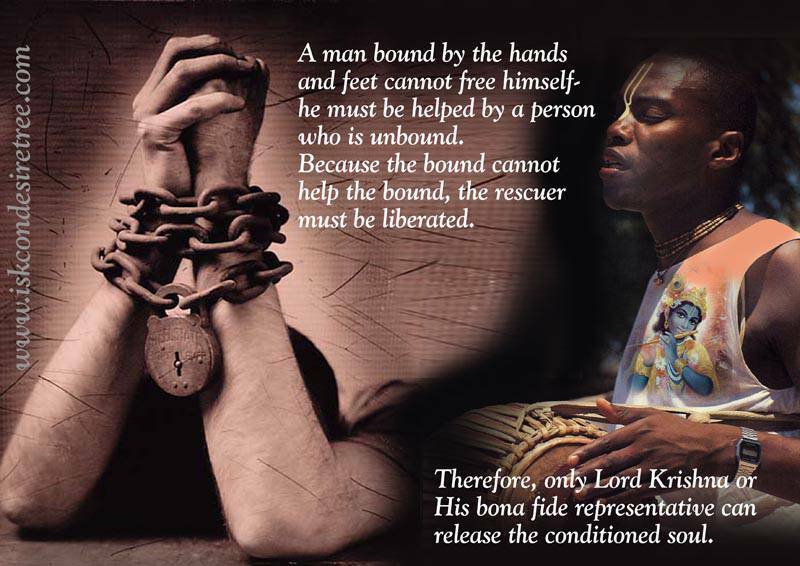 He must be helped by a person who is unbound because the bound cannot help the bound, the rescuer must be liberated. 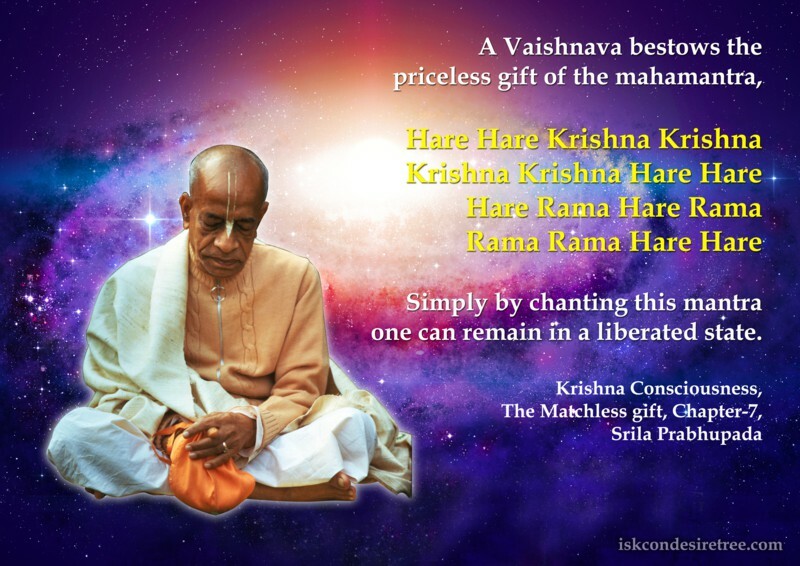 Therefore, only Lord Krishna or His bona fide representative can release the conditioned soul.